In response to a recent column in which I suggested canola oil as one good choice for popping corn "since it is low in saturated fat and has a high enough smoke point not to burn at higher temperatures," a reader from Capitola writes: "The circle of people I associate with would prefer avocado oil, coconut oil or ghee as these three oils also take a high smoke point. Canola oil deservedly or not has received a bad rap." Besides smoke point, I also addressed in the previous column that canola oil is low in saturated fat. (It is also a good source of healthful omega-3 fats.) Other cooking oils with high smoke points that are low in saturated fat include peanut, sesame, avocado, and soybean oils. Experts at the University of California at Berkeley tell us the bad rap about canola oil is not deserved. It is an oil, they explain, that comes from a specific type of flowering plant in the cabbage family called "rapeseed." Since that's not a very palatable name and this plant is grown in Canada, it was named canola. Another concern is with a substance found in traditional rapeseed called erucic acid which has been linked to health problems in animals. According to the Canola Council of Canada, "Canola is not rapeseed. It looks the same on the outside but it's very different on the inside, where it matters. 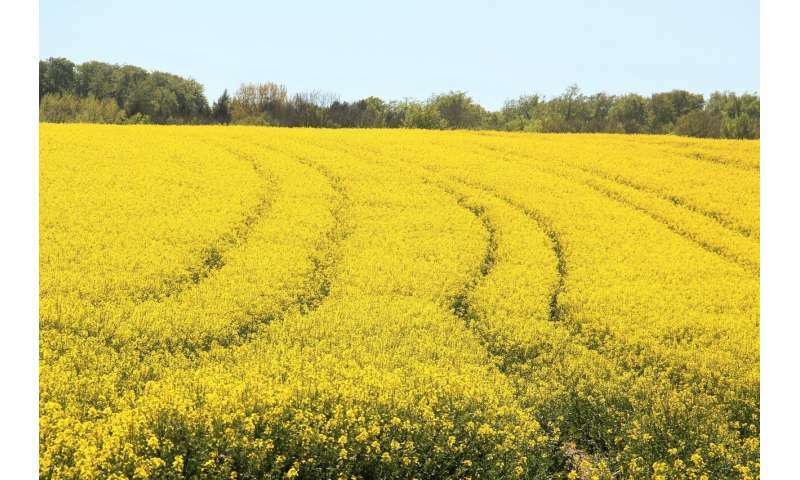 In the late 1960s, plant scientists used traditional plant breeding methods to get rid of rapeseed's undesirable qualities—erucic acid and glucosinolates. That means canola oil and meal are different from rapeseed oil and meal." Oatmeal with flaxseed, walnuts, pecans, or peanut butter instead of sausage and biscuits. There is no such thing as a 'good' oil. They all cause arterial distress, thicken your blood and set you up on the fast track for heart disease. Even coconut oil which is touted as healthy is probably one of the worst offenders.